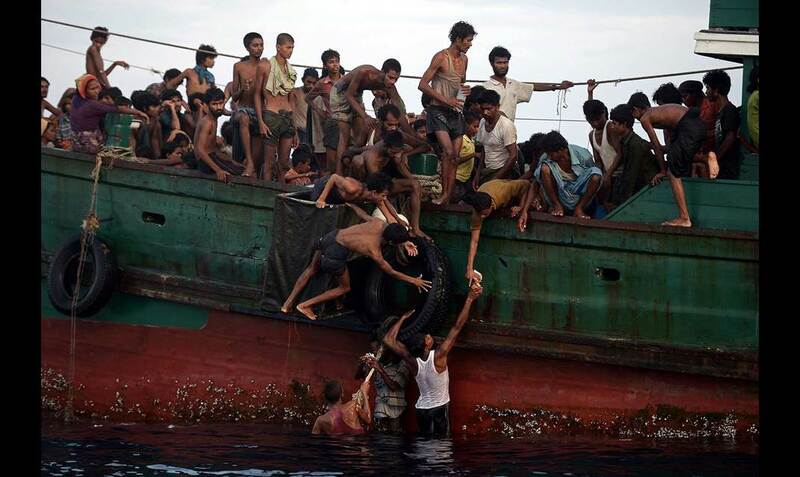 In May 2015 pictures of rickety boats stranded in the Andaman Sea packed with desperate men, women and children from Myanmar and Bangladesh made international headlines, a searing reminder that Europe was not the only continent experiencing a refugee crisis. One year on Agence France-Presse revisits its coverage of the plight of refugees and migrants across both Europe and Asia. The Odysseys exhibition will debut in Bangkok (May 3- 29) at the BACC (3-5th floor) before moving on to Kuala Lumpur and Jakarta. On May 11, a discussion will take place at the BACC with two AFP photographers -- Christophe Archambault from Bangkok and Ye Aung Thu from Yangon -- about how they covered the crisis in South-East Asia. The discussion, which is open to the public, will take place at 4pm on the 5th floor.